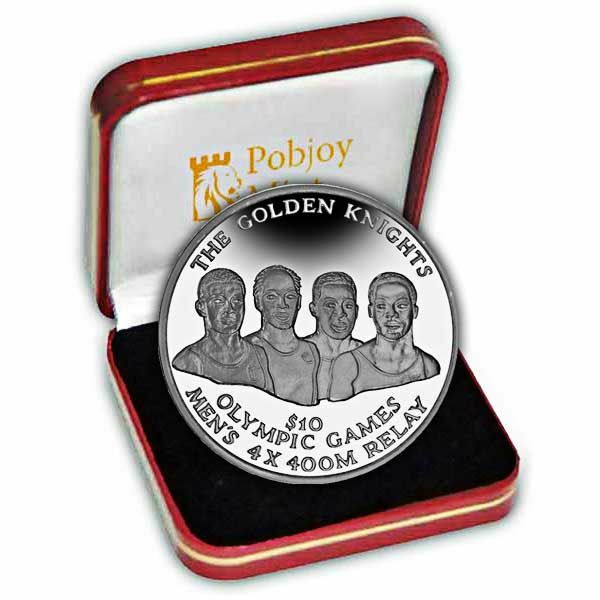 To commemorate The Bahamas' 2012 Olympic Gold Medallists, Pobjoy Mint has issued a special coin including the four Golden Knights that brought the Gold back to The Bahamas. The Bahamas' only medal was won in athletics on August 10th at the 2012 Summer Olympic Games held in London, UK. Chris Brown, Michael Mathieu, Ramon Miller and Demetrius Pinder completed their Olympic journey for the national team by winning the gold medal in the men's 4 × 400 metres relay. The Bahamas Olympic Association sent an overall of 24 professional athletes to these Games, 14 men and 10 females, to compete just in athletics and swimming. Chris Brown ended up being the nation's very first male flag bearer at the opening event since 1996. The Bahamas first participated at the Olympic Games in 1952, and has actually sent professional athletes to contend in every Summer Olympic Games then on, other than when they took part in the American-led boycott of the 1980 Summer Olympics. Bahamian professional athletes have actually won a total of eleven medals, all in athletics and sailing. The design on the coin reveals a portrait of the four Olympians wearing their uniforms in exceptional detail. The phrasing above the pictures states "The Golden Knights" and it's broken by the name of the category they won. 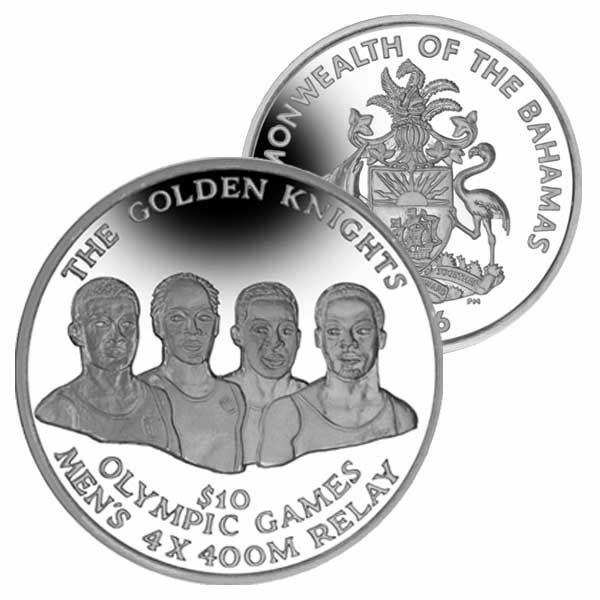 The obverse of each coin carries The Bahamas' Coat of Arms.